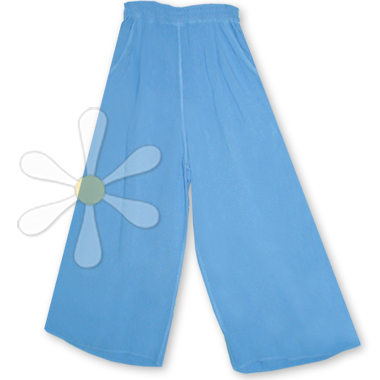 The comfy-as-pajamas fit is the true delight of these yummy soft pants... it's true! They're cut wide from top to bottom, so they're roomy and flattering on a wide range of figures. They feature deep front pockets and a wide elastic waist, stitched in three individual rows so they won't pinch. We all have a touch of gypsy wild in us, but sometimes we just want to the elegance of simplicity -- that's the MIDAN!